If you are a salaried individual, your taxes are automatically deducted and paid to the government. If you make income through business or profession, you pay income tax four times a year. But when it comes to filing taxes, it can neither happen automatic nor as frequent as a tax payment. 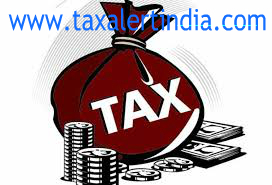 It is once a year activity for taxpayers unless they commit any mistake in the process. “Mistakes tend to happen with everything that we don’t do frequently or regularly. If you commit mistakes in filing your taxes, you may end up losing refund, paying the penalty and facing prosecution,” says Chetan Chandak, Head of Tax Rresearch, H&R Block India. Hence to help you avoid such mistakes, we have compiled a list of 10 common mistakes made by tax filers in India. Find out how you can avoid these tax bloopers. Don’t think that your responsibilities end once all your tax dues are clear. If your income exceeds Rs 2.5 lakh for Financial Year 2016-17, you need to file an Income Tax Return. Remember that this income is calculated before accounting for all the deductions. Your Form 26AS or Tax Credit Statement gives you all the important details of taxes you have paid. Don’t forget to check it before filing your tax return. It will help you in eliminating any errors in tax calculations so that you can file an accurate return. Imagine what will happen if your refund gets credited to another person’s bank account or your refund cheque gets delivered to a wrong address. Providing incorrect personal details in your ITR can create several issues like this. Therefore, you must avoid such silly errors and file carefully. Interest income from your savings account is exempt up to Rs 10,000, but interest income from your FD isn’t. Half knowledge is a dangerous thing which becomes evident when some people exclude FD interest from their taxable income. Remember that every single rupee earned in this case is chargeable to tax. Remember that hiding your income to evade tax is a crime. If caught, you can end up paying a heavy penalty and even land in jail. These days, tax department is easily able to track your income through your PAN. “Every large transaction is reported annually by companies, banks and other financial entities to the government. Therefore you must disclose all your income, clear your tax dues and file tax returns on time. E.g., if you have two house properties, you need to add rental income to your earnings even if you don’t have any. You must disclose income earned through shares, mutual funds, property capital gains, etc. If you have switched jobs multiple times in a year, you must bring your income from all the employers to light,” says Chandak. There are several different types of incomes which are exempt from tax. E.g. if you have dividend income from stocks or interest income from savings bank account, you can save a good amount of money from tax net by notifying the tax department about it in your ITR. The I-T department has prescribed many different ITR forms. You need to choose your ITR carefully to file your taxes, otherwise, the tax department will reject it and ask you to file a revised return. This is a very common mistake made by first-time tax filers. Such people think that their job is done once they have filed their taxes. They fail to verify their return and send necessary documents to the I-T department. “If you e-file your taxes, you can either e-verify your taxes from the I-T department’s e-filing portal or get physical verification done by sending a printed and signed copy of ITR-V to CPC-Bengaluru,” says Chandak. If you have made a mistake in reporting your income and savings during the year, you can still correct the return by filing a revised return. Till previous Financial Year, the government allowed tax filers to revise return within two years from the end of the Financial Year for which the return was revised. However, “from this Financial Year or FY2017-18, you will get only one year to revise your return from the end of relevant financial year. So, if you find any mistakes from your end in your filed return, then you should not wait for a notice from tax department before taking any action. Instead, you should immediately file a revised one,” informs Chandak. When you file your tax return, in the Assessment Year 2017-18, avoid these tax bloopers to prevent any unnecessary trouble.